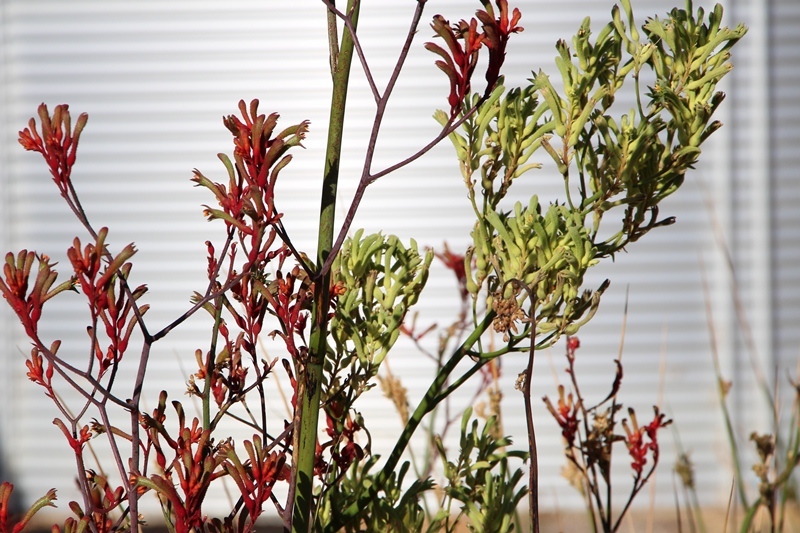 The Red and Green flowers on our Tall Kangaroo Paws (Anigozanthos flavidus) look very seasonal. They are living up to their name, and the flower spikes are over 2m tall. 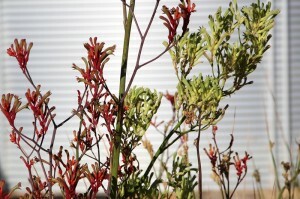 A different variety, the Red and Green Kangaroo Paw is the floral emblem of Western Australia and I spotted some in the road reserve beside the property. The tubular flowers are coated with hairs and open with six claw-like flaps which do actually look like a kangaroo’s front paw. Birds are the main pollinators and the kangaroo paws have evolved to avoid bees. The long flower-stalks ‘advertise’ the presence of nectar in the flowers and provide a perch for visiting birds. 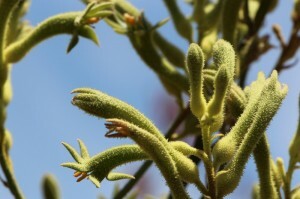 The shape of the flowers allows pollen to be deposited on the head of feeding birds. This pollen is transferred from flower to flower as the birds feed. Different species usually deposit pollen on different areas of the birds’ head. 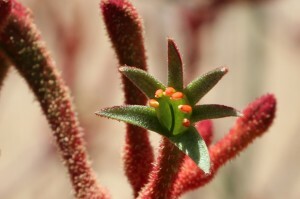 This means that pollen from one species is unlikely to be deposited in the flowers of another species. Bird pollinated flowers are often unscented, red and produce abundant dilute nectar. 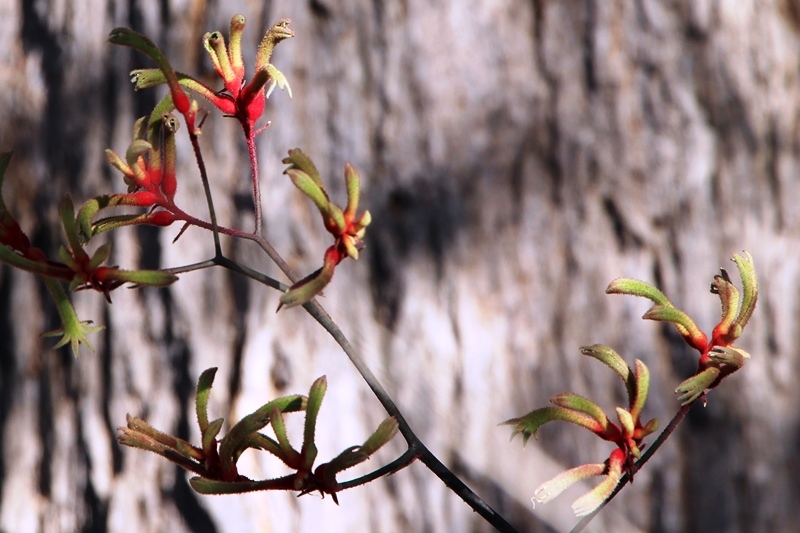 I have actually seen a couple of Honeyeaters perched on the stems drinking the nectar, but not got any photos…yet.